As some of you may know I co-host a podcast called The Captains’ Table which is a part of Visionary Trek. The Captains’ Table looks at the latest Star Trek novels and those from over the archives. On the show we review the stories and interview the authors about their work. 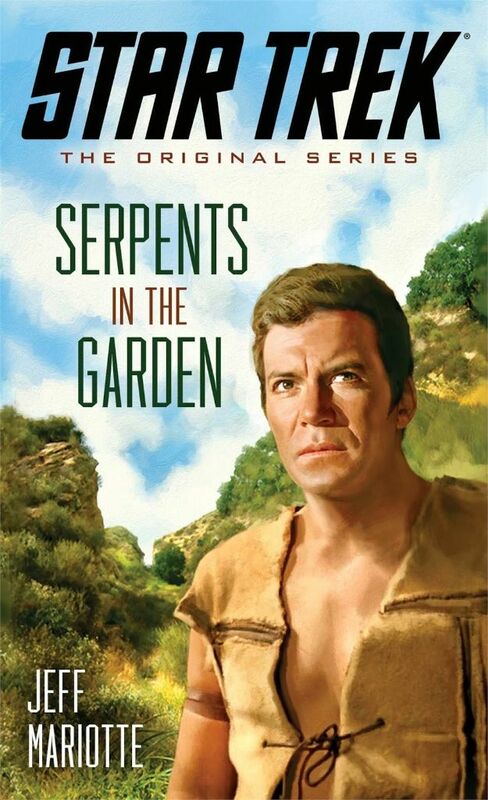 Recently I was lucky enough to speak to Star Trek author Jeff Mariotte where we spoke about his latest novel: “Star Trek: The Original Series: Serpents in the Garden”. During the interview Jeff spoke about how he became a writer, how he discovered Star Trek and “Serpents in the Garden”. Read the interview with Jeff Mariotte at Visionary Trek. 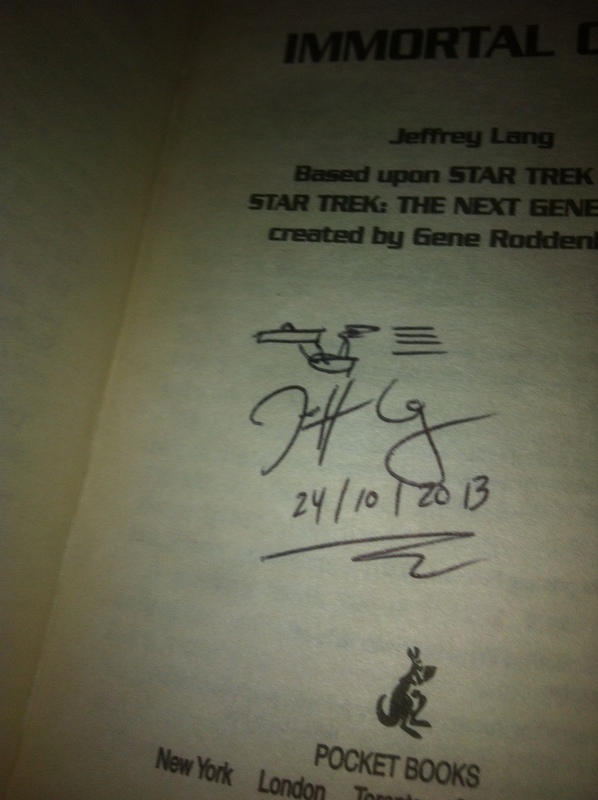 Sometimes when you least expect it you are presented with opportunities that allow you to indulge in your passions and for me I experienced that when I was able to meet Star Trek author Jeffrey Lang. Jeffrey Lang has written quite a few Star Trek stories including DS9: “The Left Hand of Destiny” (written with J.G Hertzler), Voyager:”String Theory Book One:Cohesion” and the brilliant “Immortal Coil”. If you haven’t read any of Jeffrey’s books than you should give them a go, he’s a great writer and you can see his love of Star Trek on every page he writes. Over the past few weeks I had been trying to organise an interview with Jeffrey for “The Captain’s Table” podcast and in our last email to each other Jeffrey explained that he was looking forward to the interview but at present he was in London on business. In London! I was gobsmacked! I live in London, the thoughts were running through my mind. 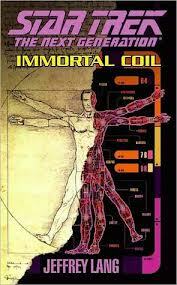 I could meet up with Jeff, I could meet an author in person, he might sign my copy of “Immortal Coil”. Of course he would have to agree to meet up. I wrote back to Jeffrey where after mentioning our upcoming interview I asked the question. To my delight Jeff thought it was a great idea to meet up. 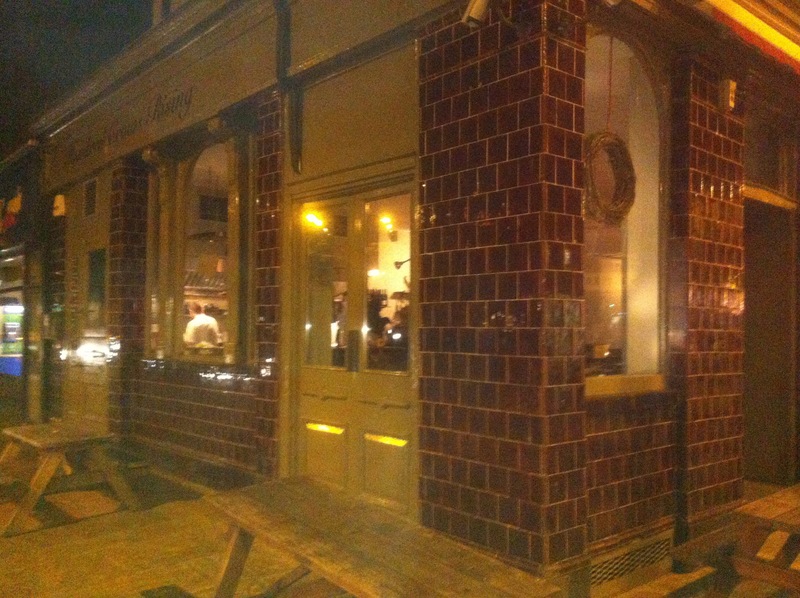 We agreed to meet at the pub / restaurant “Hundred Crows Rising,” in Angel. Jeff was really taken by the name of the pub. I was really excited to be meeting up with Jeffrey. As mentioned I was going to take my copy of “Immortal Coil” but I decided as well that I would take the piece of card with all the authors signatures that Sina was able to get me when she met up with Dayton Ward, David Mack, Kirsten Beyer and many more. There was a space on the bottom so I was hoping Jeff would sign it for me. I was very nervous when we met up but once we shook hands and began to talk it was like catching up with an old friend. We spoke about anything and everything. From Star Trek to Doctor Who to Sherlock Holmes to Batman (in particular Hush, Dark Victory, the Riddler) to Superman to Grant Morrison to Hamlet with David Tenant and Sir Patrick Stewart. We even spoke about my writing which was really helpful. 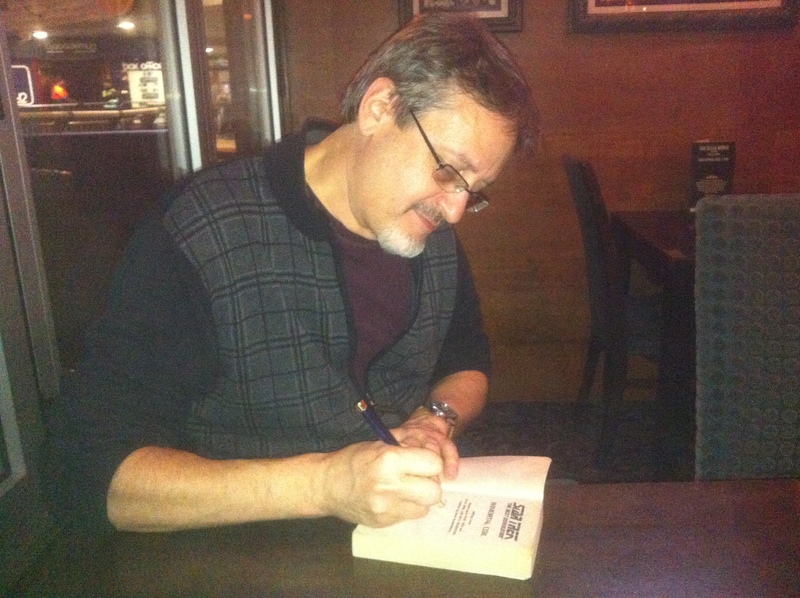 After a couple of drinks we strolled around the area until we found somewhere to eat where afterwards Jeff was kind enough to sign my books and authors card. We both had work the next day so after three hours it was time to part ways but we were looking forward to our next chat for the interview and Jeff mentioned that when he is back in London we should meet up again. On the way home I mentioned via Twitter that if I had recorded our conversation it would have been one of the best interviews / conversations I have ever had but for once I am so glad that it wasn’t recorded. I really had a great time with Jeff and I can see us becoming good friends. I have been so lucky over the past year to speak to some great Star Trek authors but now I can say that I have actually met one. Thanks for a great evening Jeff. Read more at my good friends Jon’s website but I know Mike, he is a great writer and if you can help him then it will be very much appreciated.